Baby girls struggling at the moment, I’m not entirely sure why, but everything seems to be a source of worry and anxiety for her just now. She came home from school today like a tightly wound spring with bite marks on her hands and sores inside her mouth where she’s bitten her lips so much, I wasn’t surprised, she’d been awake since the early hours and wasn’t really in the best of moods when I dropped her off, clingy and fragile. 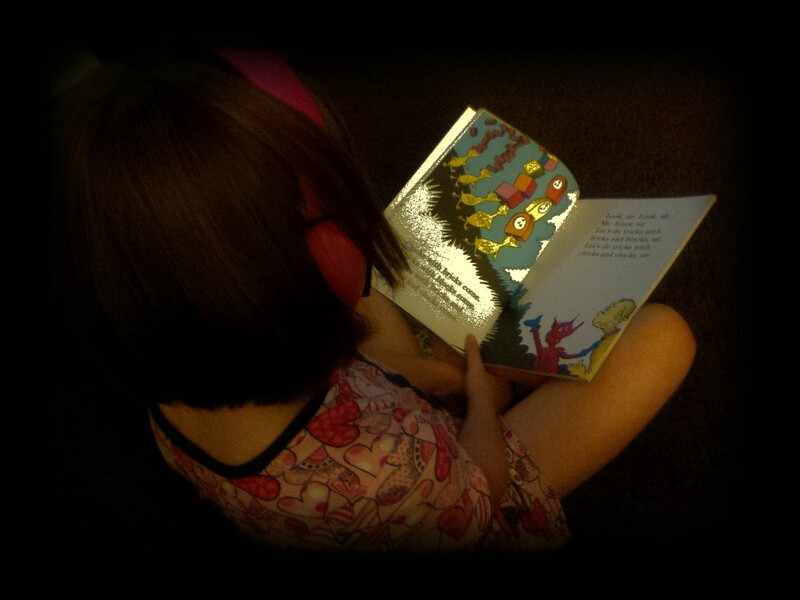 A rumble of thunder tonight prompted a quick grab of her ear defenders, which she then insisted on also sleeping in. I was a little worried they’d cause irritation and keep her awake but I was wrong, she was asleep before I hit the bottom of the stairs! Tightly cacconed in her duvet, adorning the sleep mask she wears to block out the light, the gloves she wears to stop her biting her fingers till they bleed and now the ear defenders to block out the noise! Ready or not here I come…………..
I’m reblogging this piece I wrote about ‘change’, a lot of you seemed to like it and it’s that time of year that we find ourselves explaining to teachers why our children are struggling with all the ‘change’ in school. So here you go, hope there’s something in there to help you, feel free to share! 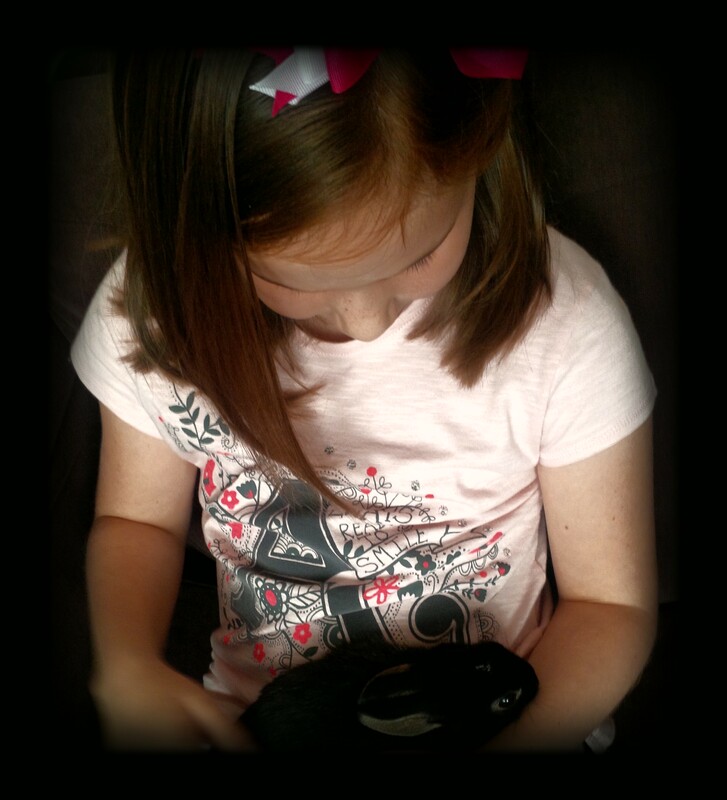 Me: middle girl did you have tears in your eyes when you was holding nanny’s bunny? Middle girl: yes, when it’s claws were sharp they scratched me. Me: why didnt you say, we could have moved the bunny? Its here, the time when I have to choose a high school for Big girl. Its come around too quickly, she’s not ready, I’m not ready. I’ve been looking for a suitable school since around Easter time, researching them and comparing them. I made a list, I called each of them and made appointments to meet with their SENCO’s. All of our local secondary schools are big, there were 4 on my list and only 2 of those would make the school run fairly easy the other 2 would require some sort of after/before school club, or lots of waiting around, neither of which are really ideal for big girl. The first three that I called didn’t really sound like anything special but the 4th one impressed me on the phone with their talk of support and understanding and a nurturing environment. To cut a very long (over 4 months) story short the 1st three were not suitable, no real understanding of trauma, attachment or even autism, all of which big girl struggles with and the environments didn’t fill me with warmth and hope either. So on to the 4th one, the one I’d pinned all my hopes on. I arrived at 9.05am. On my loooooong walk to the Senco’s office from the main reception, I commented on how ‘fit’ one must have to be to work there, clearly confused by my comment she told me that there were lots of ‘fit’ male teachers at the school and it was quite a pleasure to work there. Further along our walk we passed a very depressed looking boy slumped at a desk outside the head teachers office, remember this is 9.05am!! I spent almost 2 hours chatting and listening to her tell me how most children settle in very quickly, how her daughters really enjoying being there, how lots of children struggle with the hustle and bustle of the corridors at class changes and how they support them by giving them a map and if they loose it, they help them buy attaching it to their bags. Lots of talk about how great the communication between staff was, but no real assurances of how this helps the children on a practical level or examples of how she would be supported. After our lengthy chat and shortly after a class change, we headed back through the winding corridors, the little boy that was slumpled outside the head teachers office, well, he was still there, there was also another boy flopped over a desk looking very sorry for himself a little way around the corner. As we walked out to the courtyard I noticed a young boy chatting with a fit male teacher, he appeared to be having some difficulties and neither looked too happy, just behind them in a classroom were some older children having what appeared to be a very aggressive argument, the teacher chatting to the young boy, and the senco who walked besides me were both completely oblivious, I can only hope it was a drama class but somehow I don’t think it was. Back in the main reception and the senco was approached by a young boy who wanted to tell her something, once he left I commented on what a sweet looking boy he was and I was horrified as she proceeded to tell me his personal story, that he had an attachment disorder and was feeling like his world was falling apart as his favorite teacher had just left, apparently he and his mum had decided to move schools for a fresh start but she thought it was a mistake. The little boy, who’s world was falling apart, reappeared and wanted to tell her something else, she suggested they catch up at lunch club at which point he informed her that he’d be late because he’s just been given a 10 minute detention. What a considerate teacher that must have been. This was the school that sounded good, the one that filled my heart with hope, imagine what the rest were like! So the search continues, I’ve widened the search area, although I have no idea how the logistics would work If any of those schools prove to be suitable. Big girl doesnt have a SEN statement/EHC plan, I’ve always been told by teachers that she wouldn’t qualify for one, so special schools are off the radar. I have reluctantly put ‘home-schooling’ on my radar. I don’t have any strong views on home schooling, I think it can be a perfectly acceptable method of education and equally I think schooling is also a perfectly acceptable method. I’m also of the opinion that not all children fit in to the same box so whilst school may be suitable for some, it may not be suitable for others and vise versa. However, my reluctance to consider home schooling comes from some where else. Home schooling big girl would take a lot of my emotional and physical resources and I’d never get the chance to ‘stop’ and recharge during school hours, and recharging is vital when your raising traumatised children. Baby girl and Middle girl equally have their own struggles and deserve a mommy that’s not exhausted by the time they come home from school each day, but at the same time sending Big girl to a school that she cant manage could just push her over the edge that she’s currently teetering on. So my plan is to apply for a statement/EHC Plan for Big girl myself, I believe her emotional needs are vast and they have a huge impact on her ability to learn, I’m going to research home schooling, visit the other schools in the wider area and hope and pray one of them is amazing. Well we’ve been back at school for a couple of weeks now, We’ve had quite a few wobbles, Middle girls anger has returned, Baby girls worries have returned and Big girls anxiety is in over drive. Middle girl is angry most days when she gets home from school, she was hot, it was noisy, she was thirsty, her friend had to move seats, it didn’t rain like the weather man said it would, the lunchtime toy hire shop closed, dinner time has changed etc etc she’s grumpy, everything is annoying her and her unreasonable expectations for the entire world to accommodate her every need have returned, quite simply, she’s stressed out. Baby girl is worried, worried she cant speak french, worried the children might not like her, worried she’ll forget something, worried her teacher will shout, worried about everything. Remember the transition object I gave her a year ago when they started at this new school, well its been in her hand/pocket every day so far this new term, so she still isn’t feeling safe in school yet. Baby girl doesn’t like school, she’s always said she’d much rather stay home with me but being the compliant little girl that she is, she’s always worn her smile and walked in to school anyway. I’ve noticed over the last year that baby girls reluctance to go in to school is increasing, don’t get me wrong, she still walks in with a smile but the lingering hugs and the asking me to walk her right to the door and even the ‘I don’t wanna go’, has started. I’m concerned this is going to get worse, if it continues progressing at the rate it has been, I’m sure we’ll be having full on school refusal in no time. Big girl, ahh where do I start. She’s really not managing things at school at the moment, we’re having regular melt downs at home, what was every month or so,is now several times a week, lots of self harming, shouting, feeling rubbish about herself and generally being unhappy. I’ve had lots of talks with Big girl, some she’s listened to and shared with me he worries and some she’s shouted at me and been unreachable. Everything seems to be a major issue for her at the moment, the slightest thing is unmanageable and every bit of change pushes her closer to the edge, she seems to be on a downward spiral. Her out bursts are even effecting her sisters, only last week baby girl told our therapist how she wished she had a magic wand to make everything ok so that big girl would stop shouting, my heart broke. I’m worried about her level of anxiety, I’m worried she’s going to make herself ill either mentally or physically and I’m worried that she’s re-traumatising her sisters by creating so much volatile chaos. But fear not, I’m on it, we have a new head teacher at school and he fills me with much hope, we’ve been talking on a regular basis and he’s already put in place some things to support her, I have a meeting planned with him and our Post Adoption Social Worker who has also talked to me about looking in to ways that they may be able to help us. Big girls teacher is really on board and doing her best to support big girl and last week we also started therapy, so hopefully this will eventually give Big girl a safe place to talk. I’m signed up to a ‘self harming’ work shop at the local CAMHS, I’ve enrolled on a seminar about the new SEN reforms so I can learn more about the governments new EHC plans and hopefully begin the application to source one for her, so I’m really am doing my best to support big girl through her tears and simultaneously protect her sisters from her trauma. Please send us lots of positive vibes! She’s in a grump, but Im happy! Well, middle girl has come out of school in a right grump today. ‘what’s the matter?’ I asked as she glared at me. I’m too hot, she scowled. Sometimes we feel hot when we’re a bit stressed out, I said, do you think you might be feeling a bit stressed out middle girl? I enquired. My teacher didn’t say Thank You when I gave her the books, she moaned. The man on the radio said it would rain and it didn’t, she ranted. I missed playing bench ball at pe because Miss xyz took too long doing my group work, she grunted. Poor middle girl, sounds like she’s had a bad day doesn’t it. I’m just super happy that even though she’s grumpy and moody and not much fun right now, she trusted me enough to tell me all of that and didn’t give me her usual silent treatment and dirty looks!